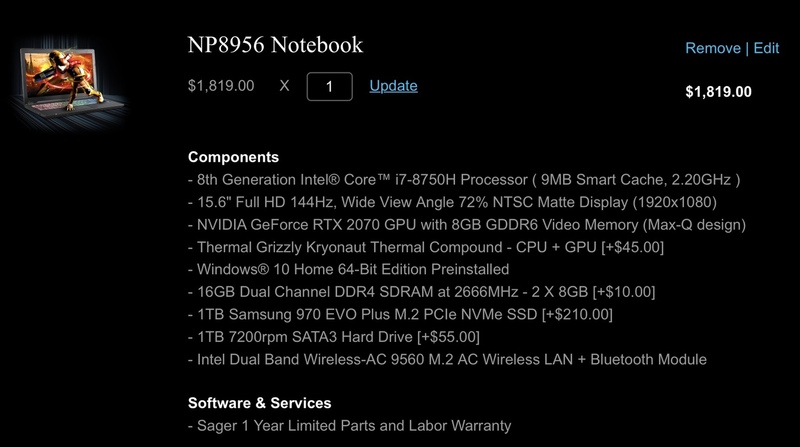 Discussion in 'What Notebook Should I Buy?' started by yurilobo, Apr 7, 2019. Clevo has been making laptops longer than most of the brand names they are quite honestly sort of an r and d company for gaming laptops. They have data and technology ahead of alienware or acer to sell them like this many failures based on this much heat etc . Hey everyone, sorry about the late response. Finally had a chance to organize the options you all mentioned. Which one you think that would be the better option? I’m missing some other model ? so id get a screwdriver and install it myself. so i literally bought the 17 inch version of the clevo except i downgraded hdd i bought windows and i spent 550 on two 2 tb pcie ssds from newegg.com i would do the same with the tongfang. Regarding screen -- you may prefer something with closer to 100% NTSC gamut if you're doing graphics work. My previous laptop (Dell Precision M6500) had a screen that when I profiled it with DisplayCal turned out to be around 72%; it looked very washed out. My current Lenovo P70 has a much nicer screen (the 4K, somewhere around 100% NTSC). 144Hz refresh may give you slightly smoother action with some games; you'd need a very fast GPU to take full advantage of that, I'd expect. Portability means different things to different people. A desktop is certainly not designed to be moved around, and there are just too many pieces needed to make it functional. A laptop -- even a 10 lb one -- is, if you don't mind carrying the weight. Slim laptops, even with fast processors, simply don't have the cooling needed to run at peak performance (look at the Macbook Pro with i9-8950H). Absolute best full GTX 1060/1070 or full RTX 2060/2070 laptop I can get for $1800 or less? Tmansdc, Mar 3, 2019, in forum: What Notebook Should I Buy? Allan A, Feb 4, 2019, in forum: What Notebook Should I Buy?